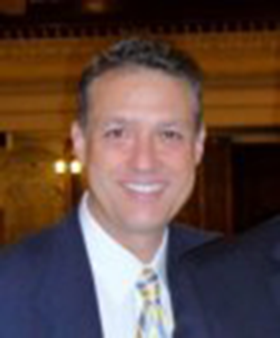 Our chairman, Mark Langfan, is an attorney who is best known in the pro-Israel community for the original educational 3-D Topographic Map System of Israel he created in the 1990’s. The maps and related educational material are specifically designed to facilitate clear understanding of the dangers facing Israel and its water supply. The maps have been studied by U.S. lawmakers and can be seen at www.marklangfan.com. 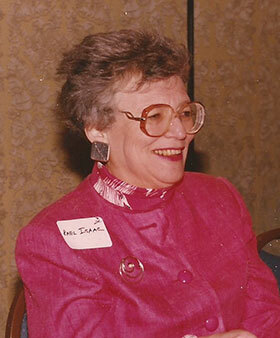 Helen became Executive Director of Americans for a Safe Israel/AFSI in 1995. She served in that capacity until December 2005 and resumed the position in 2009. 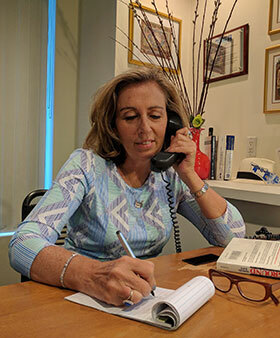 She continues as AFSI’s Co-Executive Director, along with Judy Freedman Kadish, serving as a spokeswoman for the organization at innumerable meetings, press conferences, radio, and TV interviews. Helen assists in planning and leading the semi-annual AFSI Chizuk missions to Israel which have been conducted for the past 22 years. She also assists in planning and participating in programs and demonstrations related to a safe Israel – and America. 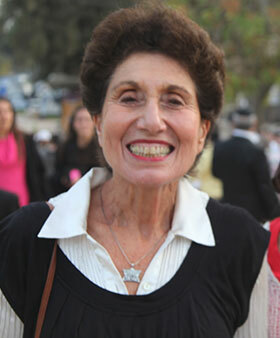 Helen was selected as one of the FORWARD FIFTY by the Forward newspaper for efforts to prevent the expulsion of the Gush Katif community in 2005. The connection she and AFSI have to the former Gush Katif residents continues to this day. She is committed to working with American and Israeli lawmakers, in Washington, DC and Jerusalem on issues affecting Israel and America. She also keeps in close contact with good friends developed in the many Israeli communities visited by AFSI on the Chizuk missions. Helen is pleased to work with AFSI’s Chairman, Mark Langfan, with AFSI’s staff, with the Chair people of AFSI’s nationwide Chapters, with our Board members, and with our members. Kol Hakavod to all. Helen is the proud mother of four children and a number of grandchildren, all of whom share her devotion to Israel. 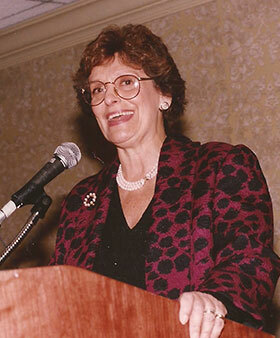 She is especially pleased that her daughter, Judy Freedman Kadish, serves with her as AFSI's Co-Executive Director. Judy has been working with Americans For a Safe Israel since 2012. She began as Director of Special Projects and now shares the Executive Director role with Helen. She has planned and executed many AFSI meetings, represented AFSI at numerous functions and has been interviewed by various press outlets in her capacity as AFSI Co-Executive Director. During her years at AFSI, Judy has become familiar with all of the organization's Israeli contacts their American counterparts and has developed great cooperative efforts with them. Together, she and Helen plan and execute AFSI’s Chizuk missions and co-lead the trips. Judy earned her J.D. at The Benjamin Cardozo School of Law. Her practice consisted primarily of Trust and Estate and Real Estate law. Prior to joining AFSI, Judy had many years of volunteer and paid experience working with non-profit organizations in leadership positions. She is also the very proud mother of two stellar young women and is grateful to have had the experience of raising them. She is thrilled to be able to combine her years of varied knowledge and apply them to her work with AFSI. Creator and editor of the blog, Ruthfully Yours, a daily summary of articles related to Israel. Author of two books on Israeli politics (Israel Divided and Party and Politics of Israel), co-author Coercive Utopians and Madness in the Streets. Her most recent book is an expose of the global warming hoax, Roosters of the Apocalypse.